Every year, we do something a little different for Independence Day. 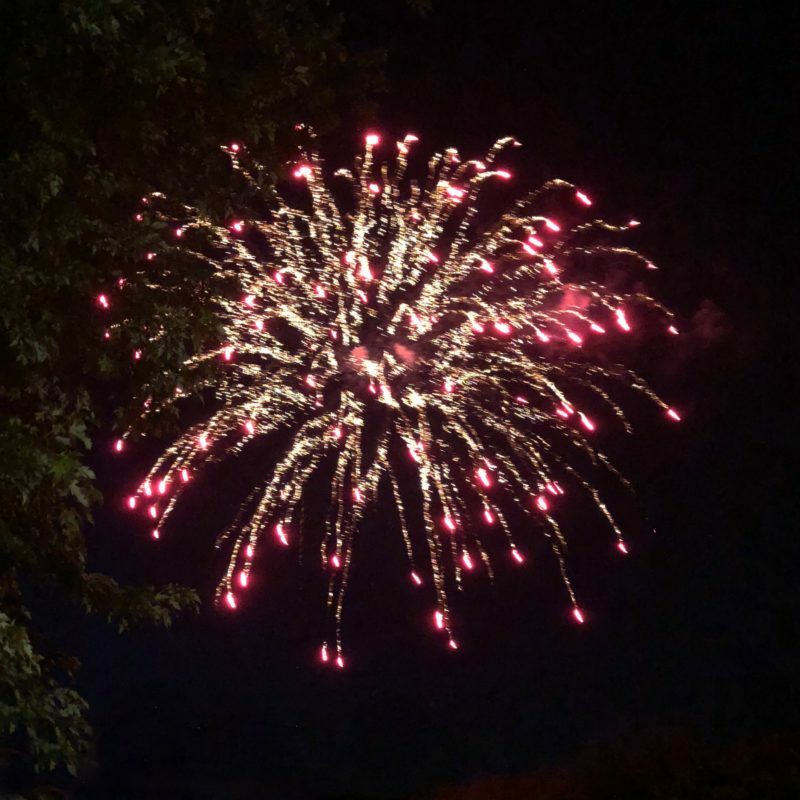 We often look for fireworks, and this summer we have been especially busy, so while we didn’t have anything planned, we heard about the Mabee Farm celebration last minute. 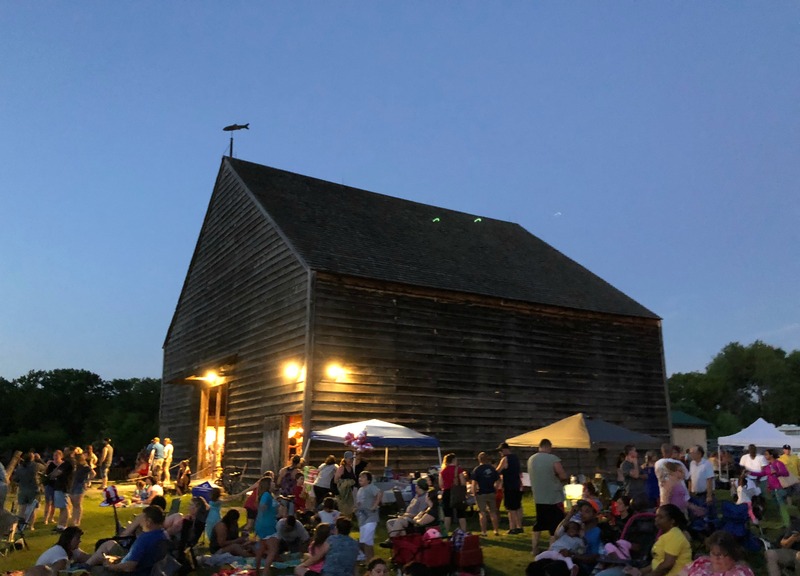 After the kids finished up at an evening swim meet, we headed over to Mabee Farm, which is located in Rotterdam Junction. The event is free, with no charge for parking. We used Google Maps to get to the farm, and had no problems finding it. There were some police cars with their lights flashing at the entrance, and employees guided us to a parking spot. 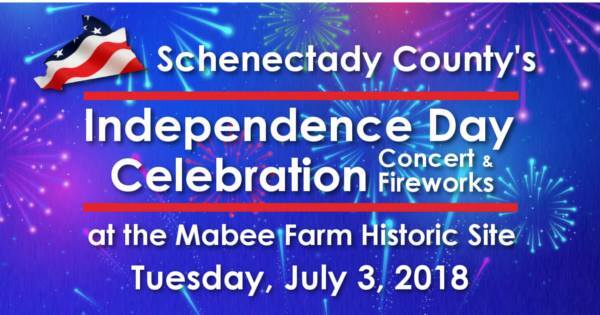 According to their website for the 2018 fireworks, “On-site parking will open at 6:00pm. 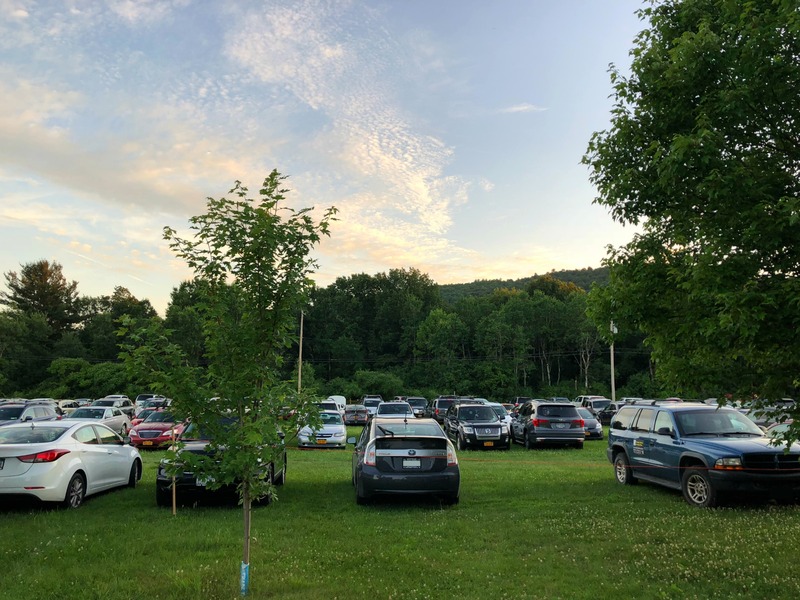 Parking is limited and not guaranteed so please arrive early.” We arrived around 8:20pm and there was still enough parking. We also ate before going to Mabee Farm, but found that there were some vendors selling food. 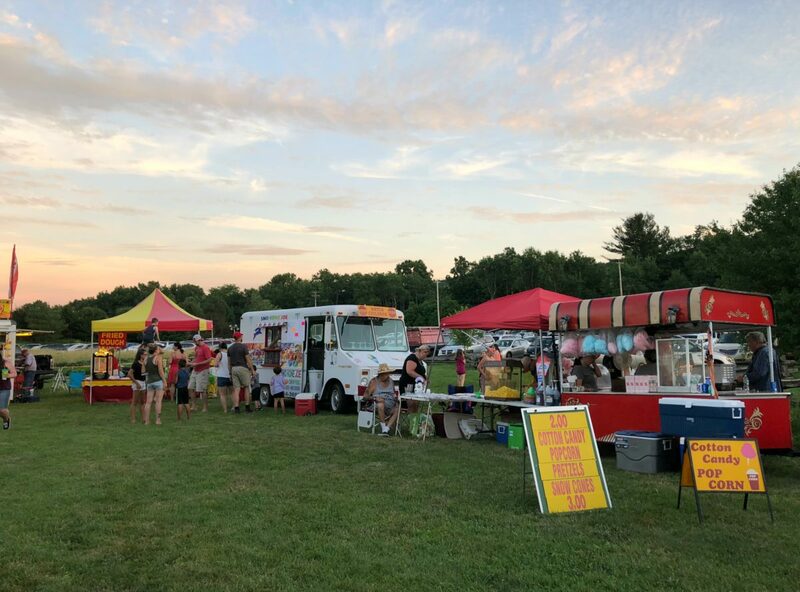 The website encouraged bringing food: “Picnics are encouraged as limited food and beverage will be available for purchase. Please no glass bottles or containers and outside alcohol is not permitted.” However, there was a decent selection of what I would characterize as fair food. 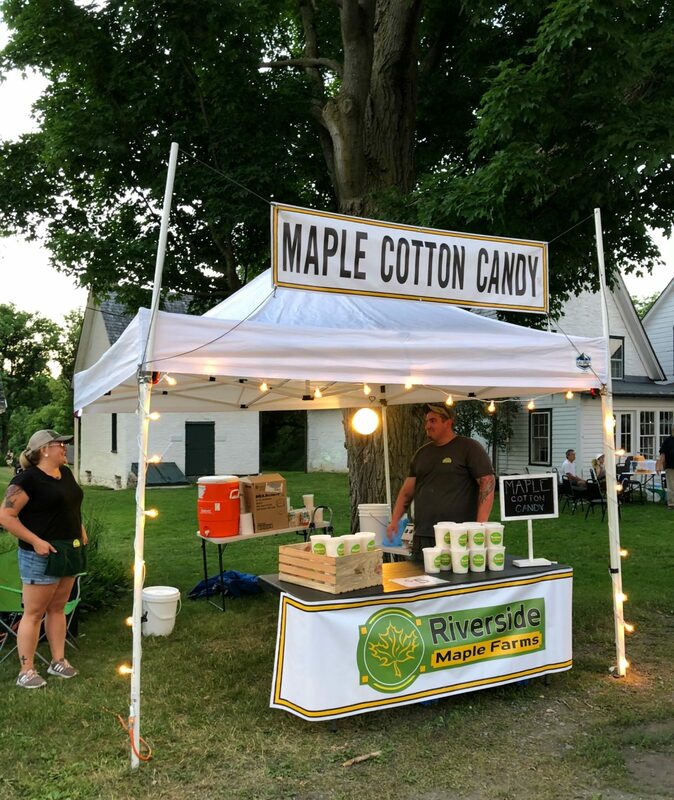 We enjoyed a variety of snacks, including Maple Cotton Candy from Riverside Maple Farms. It was a beautiful evening, with the sun setting and music playing. 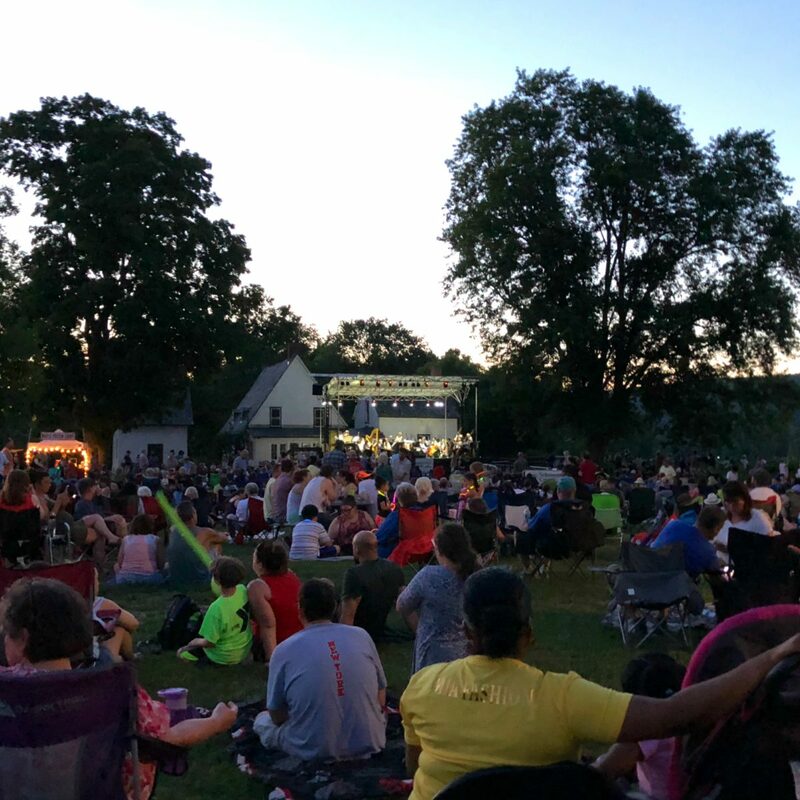 There was music performed by the Schenectady Symphony Orchestra. We set up our camp chairs and also wandered around as it got closer to 9:30, the approximate time of the fireworks show. There were also some other vendors in addition to food, like crafts and goods. We hadn’t been to Mabee Farms before, and are looking forward to checking it out on one of their regular days. Shortly after 9:30pm, the fireworks started. From where we were sitting, the trees were blocking the view a little bit, so we simply walked over to the side of the field for a better view. 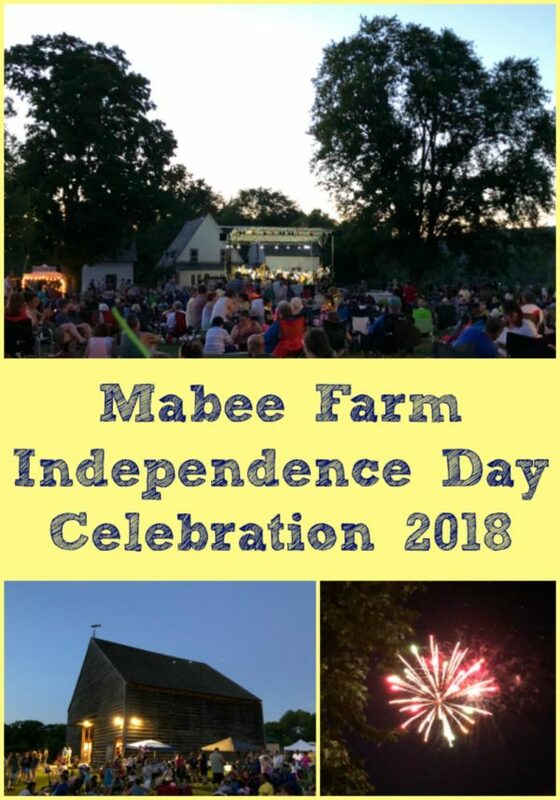 We had a very nice evening at the Mabee Farm Independence Day Celebration, relaxing and watching the fireworks, enjoying local vendors and the music. There were on-site restrooms as well as port-a-potties, and it was nice to find there were no lines. Fourth of July celebrations in smaller towns are my favorite!! Hope it was such a fun day for everyone that attended. This looks like a lot of fun! I would love to try the maple cotton candy out. Yum! 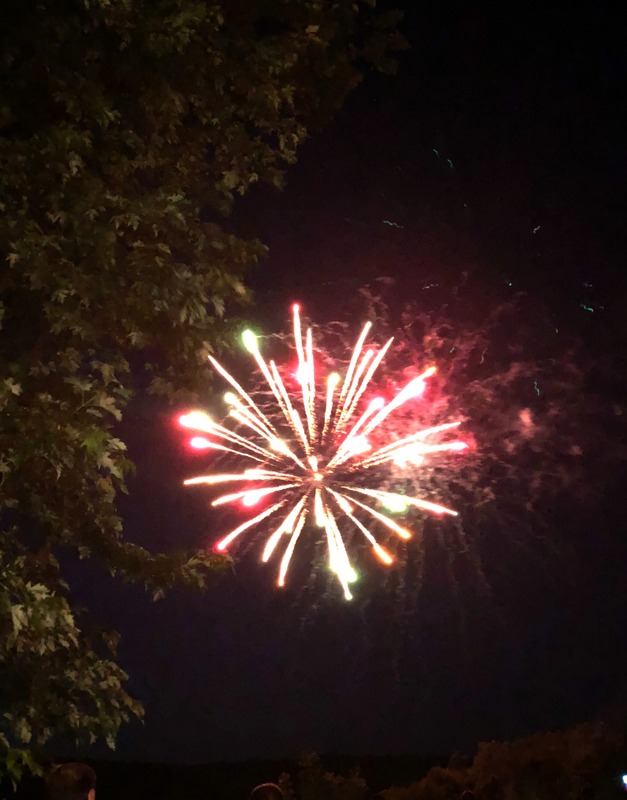 Fireworks are popular here on weekends and holidays like Independence Day. It sounds like this might be a really nice event where community can come together and get to know each other. 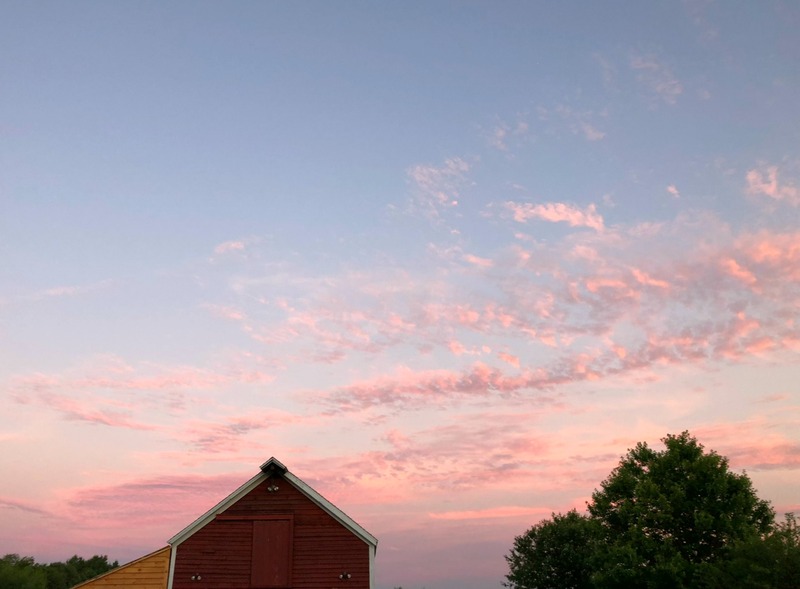 Maple Cotton candy?!! Yum! What a fun and festive event!! Looks like a great venue, with great weather too!